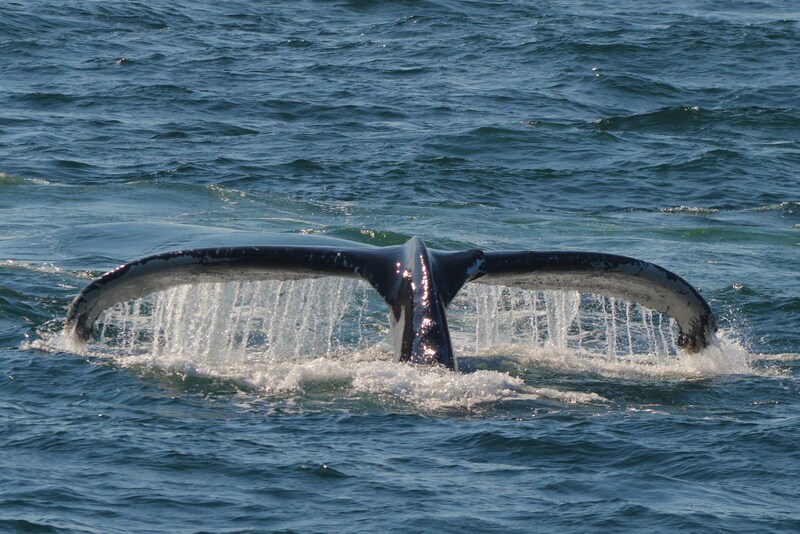 The 2014 season is winding down for us, but not necessarily the whales! 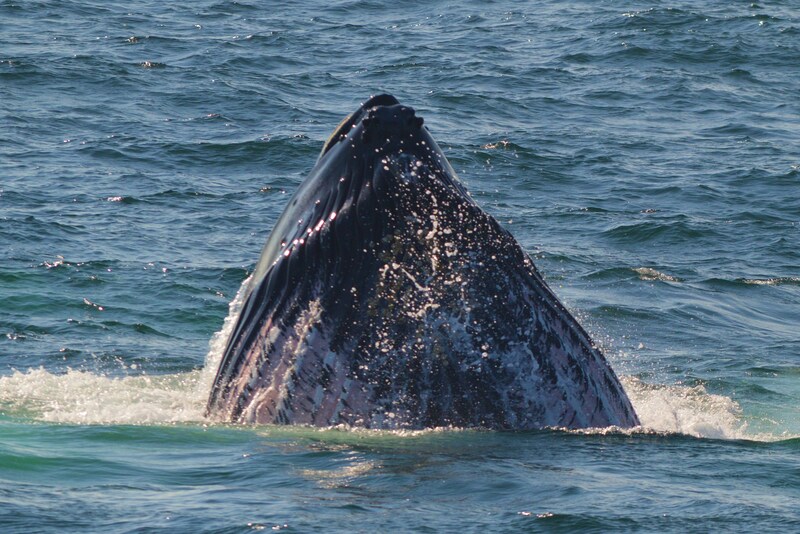 We began today’s trip with Quote, a humpback we have seen a handful of times in the last few weeks. Quote is a female who has been reported with seven calves since she was first sighted in 1986. Each time Quote surfaced, there was a cloud of bubbles left behind, indicating that she was feeding below the surface. There were a few other blows in the area, so we decided to see who else was out there. 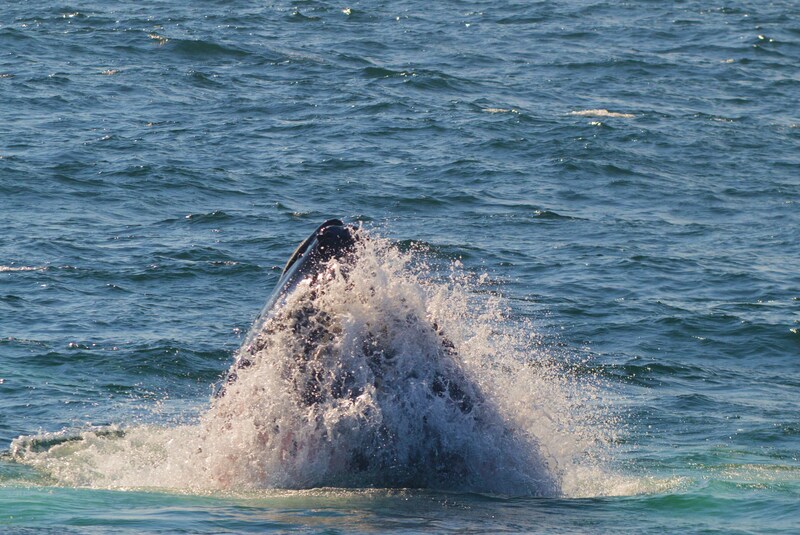 As we were getting our last few minutes with Quote, another humpback breached in the distance. It was Shuffleboard, also doing some feeding. Shuffleboard allowed us to have a couple of fantastic looks at feeding. 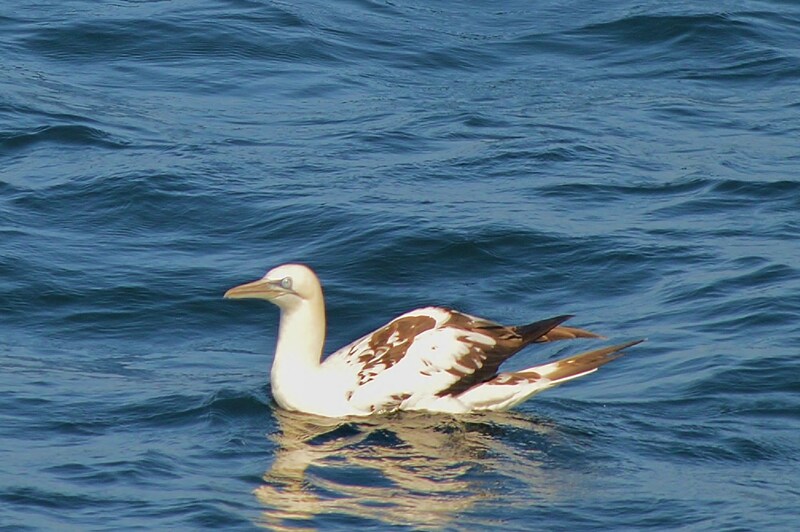 In addition to these two, we watched a third unidentified humpback. 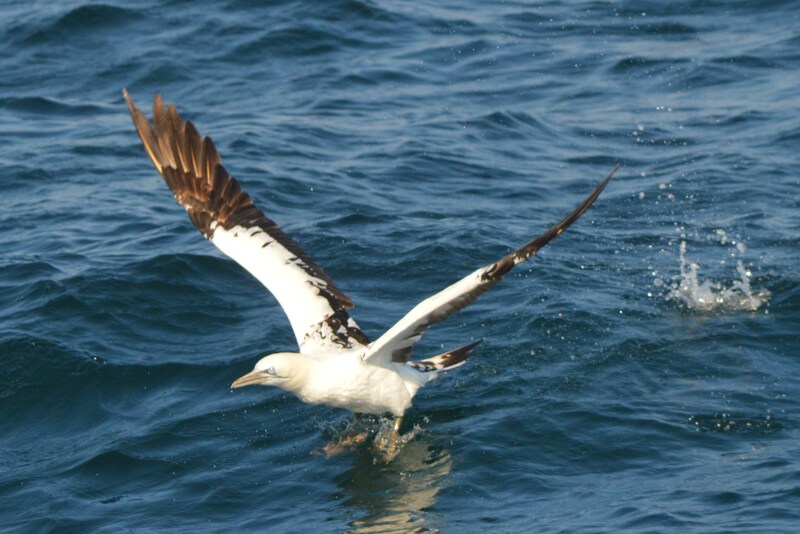 There were also a large number of gannets who were feeding as well. 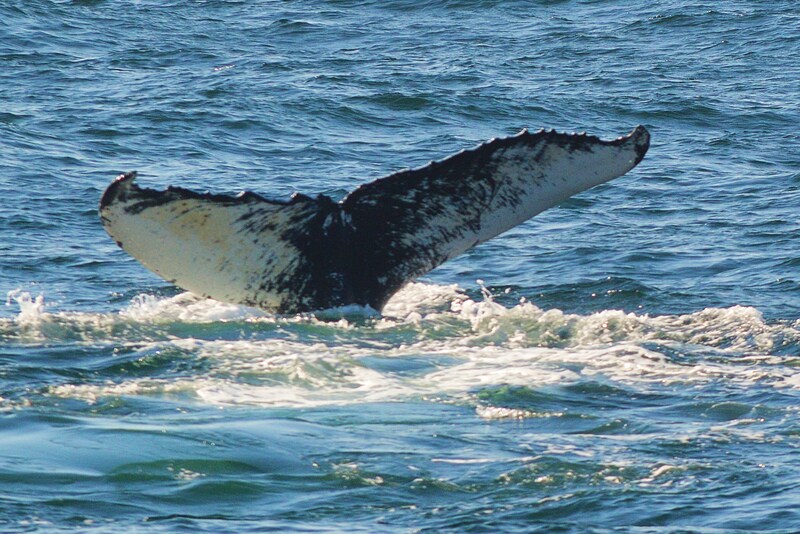 If you are able to come whale watching in the spring or fall, you might be lucky enough to watch these impressive birds dive straight down into the water- always an impressive behavior to see!